the event dispatching thread and have this object create the GUI. 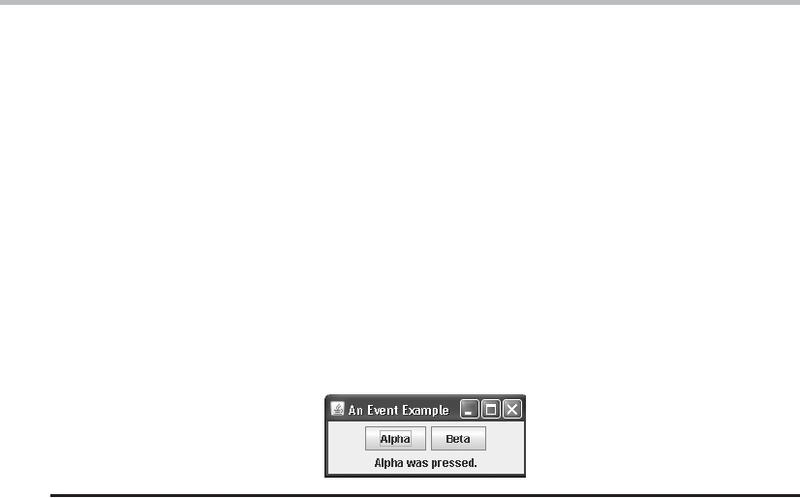 constructing the initial GUI for an applet, you will need to use invokeAndWait( ). do respond to user input and the events generated by those interactions need to be handled. The event handling mechanism used by Swing is the same as that used by the AWT. java.awt.event. Events specific to Swing are stored in javax.swing.event. generated by a Swing push button. Sample output is shown in Figure 29-2.